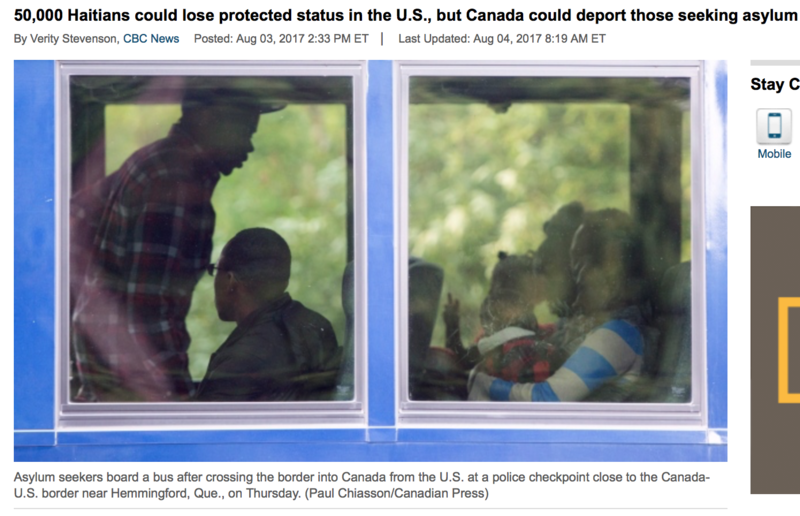 As TPS expiration looms, thousands of Haitians who have been living in the United States in the past seven years are fleeing to Canada seeking asylum. Although the Canadian government ended their temporary protection status in 2016, their warm reception towards refugees makes Canada an attractive second choice. Although they could face deportation from Canada, many have taken the risk. for those Haitian families, leaving the U.S. is the only way for them to keep their families together. Heading to Canada is one of the only options seen by many of the 50,000 Haitians who’ve been living under temporary protection status in the U.S. — but many don’t know they face deportation here, too, should their asylum claim be rejected. The temporary protection status for Haitians in the U.S. granted after the 2010 earthquake is set to expire in January. The Department of Homeland Security considers Haiti to be a safe country now, and it’s warned that the U.S. doesn’t intend to renew that status, prompting the deluge of asylum seekers crossing into Canada. “There is a major humanitarian crisis coming up this January,” said Emmanuel Depas, a New York-based immigration lawyer, who was born in Haiti. Depas said many of his clients’ only hope is coming to Canada. Going back to Haiti would mean living in poverty, facing persecution or, for a fifth of them with U.S.-born children, being separated from their families, he said. “I’ve even suggested looking into Canada to people because there aren’t that many options,” he told CBC News Thursday.